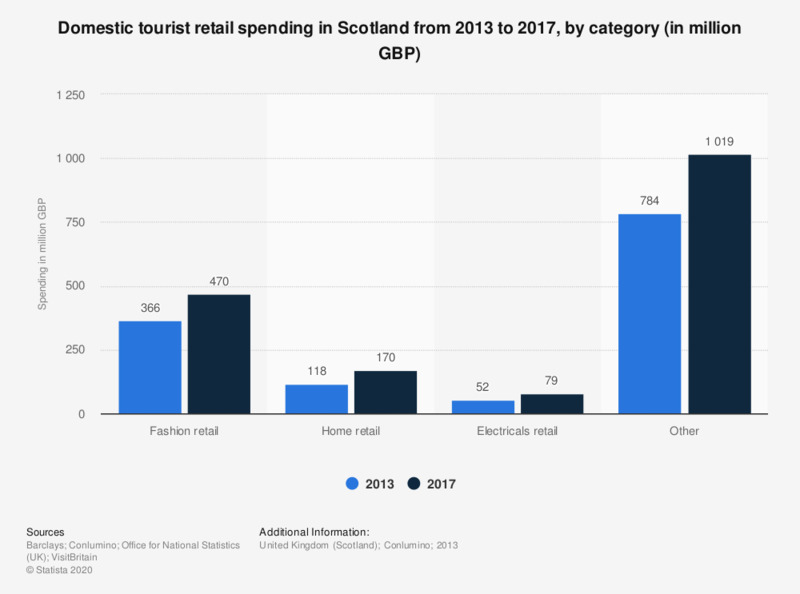 This statistic displays a forecast for domestic tourist spending in Scotland in retail from 2013 to 2017, by category. Of the given categories, fashion retail saw the highest amount of retail spending by domestic tourists in 2013 at 366 million British pounds, forecasted to rise to 470 million British pounds in 2017. Both home and electrical retail were also expected to see growth in tourist spending.